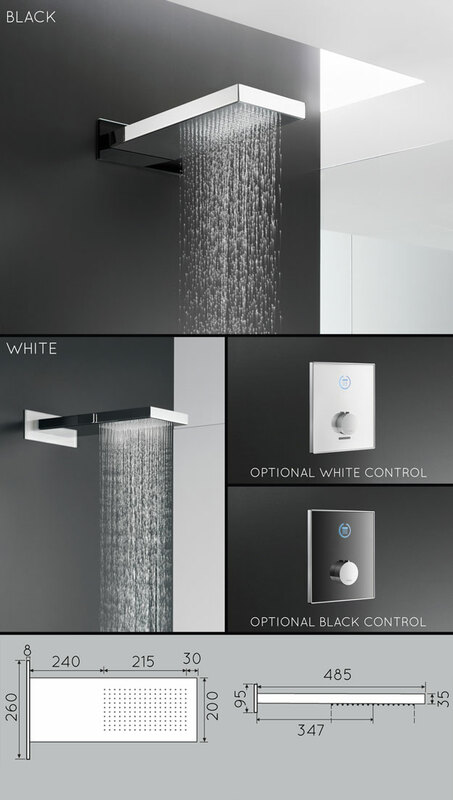 This luxury shower head is designed to be wall mounted and offers a full rain shower pattern. Offering a puristic design and generously sized water spray, this rain shower head is a relaxing addition for any luxury shower. Each fixed head is offered with a choice of white or black glass wall plate to compliment the chrome plating. * Black or white glass wall plates. * Requires 1.5 bar pressure.